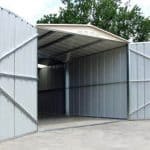 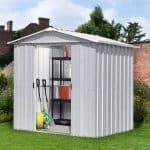 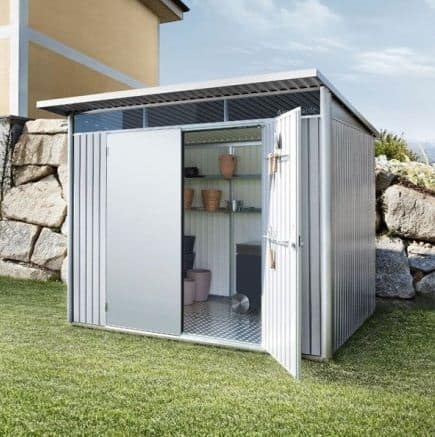 This impressive metal shed stands at 2.6 m x 2.6 m, and is therefore a real bonus to any home, being as it is small enough to be stored anywhere, but large enough to be practical. 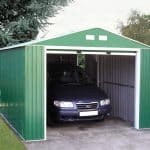 Created from 0.5 mm steel, it is completely maintenance-free, and has a 20-year non-perforation warranty attached too. 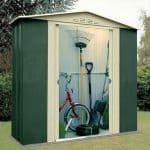 An integrated organiser system ensures that you can use the shed to it’s full potential. 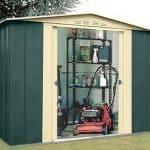 A gas operating mechanism, means the opening is safe and usable at all times. 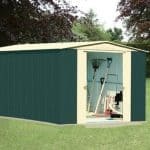 A practical shed that should please any homeowner.